LAHORE: Hitting a 13 year-high this year, economy is currently tracking sustained growth but faces serious challenges as post Panama case policy reversal has widened fiscal deficit to unmanageable proportions, a former finance division top official said. “PML-N (Pakistan Muslim League-Nawaz) government deserves credit for moving the economy up gradually from the low average growth of less than 3 percent during 2008-13 to 5.8 percent in first nine months of this fiscal and it is expected to reach 6 percent by June end,” Dr Waqar Masood Khan, former secretary at ministry of finance said addressing leading economic journalists. He said economic activity is visible all around. “The shopping malls are doing booming business, the housing sector is buoyant, car sales are growing at above 28 percent, but still inflation hovered at 3.2 percent in the first nine months of this fiscal against a budgetary target of 6 percent,” Khan said. The former secretary said petroleum products consumption was up, raw materials and machinery imports were at their peak. “All these indicators depict an economy on the go,” he added. The technocrat said that prudent government policies were complemented by favorable global commodity situation. “The crude oil rates are still at half the 2013-14 levels. It slumped from $125 to $50 a barrel in 2015 and is still hovering at around $ 65,” Khan said. He continued that agriculture continuously posted 3.5 percent growth for the 2nd running year, keeping the food prices in check, while investment by both public and private sectors were healthy. He said in September 2016 Pakistan successfully completed its three-year International Monetary Fund (IMF) program by meeting all its conditions. “We left the IMF path soon after completing its program” he regretted and in the same breath asserted this slippage was neither due to any accident nor design. “The Panama case diverted the focus of the government from economy to other spheres and Ishaq Dar, the architect of the economy, had to leave the country and the makeshift arrangement lacked both legitimacy and standing,” Khan rationalised. The former finance secretary said current account and fiscal deficits were major challenges to the economy. “We have to maintain our foreign exchange reserves as we fulfill 90 percent of our energy needs through imports,” he said adding that when IMF program was completed we had $25 billion in reserves that have dwindled to half by now. He said currency devaluation should have been done in small bits of 25 to 50 paisas to let the economy absorb the impact. On current account deficit, he said it was 1 percent of the GDP at the end of the IMF program, but jumped to 4 percent of GDP next year and was expected to reach at least 5 percent this fiscal. Moving ahead, Khan said the terror of accountability has made the bureaucracy hesitant to take any decision. “They prefer to sit still instead of risking the wrath of anti corruption watch dogs,” he added. Expressing his views on the tax amnesty scheme, Dr Waqar said the huge concession given to incomes up to Rs1.2 million would wipe out 50 percent of the taxpayers. “This would mean a tax concession of Rs150 billion,” he said adding it would be an uphill task to cover this big gap through addition of new taxpayers. 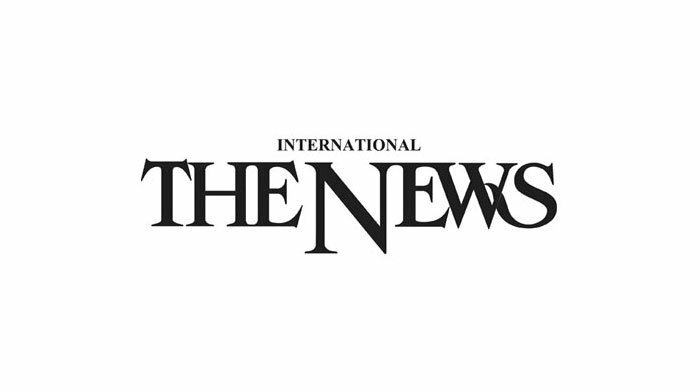 On the amnesty granted to the overseas Pakistanis, he said it may not generate the amount some economists were projecting. “However since the corrupt elements had been excluded from the scheme it would get a favorable response from Financial Action Task Force (FATF) on Money Laundering,” he said. The ex finance division official said the Organisation for Economic Co-operation and Development (OECD) countries are tightening their noose against ill-gotten money stashed away by foreign nationals. “If that wealth is legitimised by their home country then member states would have no problem,” Khan said. He said it was perhaps this aspect that prompted the government to announce the amnesty scheme. Dr Khan claimed that poverty rates have come down sharply during the past five years. “On the basis of one dollar per person the poverty has declined to 10 percent, while on need basis it is in the range 31-32 percent from 63 percent five years ago,” he said adding that inequalities have also declined during this period.